A multiparty liaison committee meeting organized by the Zimbabwe Electoral Commission (ZEC) to interface with political parties and iron out the contentious issue around the around voters roll today degenerated into chaos after an opposition #1980 Freedom Movement party member Francis Danha disrupted proceedings demanding the resignation of election management body officials over failure to address their grievances. For close to 30 minutes, the meeting could not proceed as an uncontrollable Danha demanded the resignation of ZEC Chairperson, Priscilla Chigumba for failing to address opposition parties’ grievances and conniving with the ruling Zanu PF to rig the forthcoming polls. “These people are corrupt, we have been patient enough to listen to what they have been saying all along. It is high time that we stand up and not listen but act,” shouted Danha. Efforts from the Multiparty Liaison committee chairperson and ZEC Commissioner, Qubani Moyo to engage the visibly berated Danha could not yield results as he kept shouting that the elections commission was planning to rig’ the forthcoming polls. “We are listening to your queries, and if you can let us to respond. We talk about this and reach a negotiation,” said Moyo. 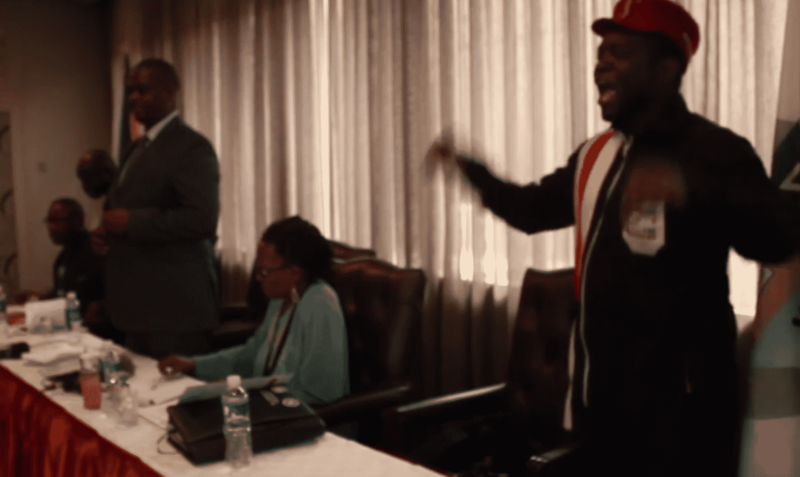 Even other political leaders in the room could be seen trying to engage Danha to no avail as he began singing derogatory songs against ZEC. President of the African National Party (ANP), Egypt Dzinemunhenzva who was also part of the meeting demanded answers from ZEC on why they were failing to address opposition parties’ grievances. He charged that ZEC should not ignore their grievances as doing so was against the principles of free and fair elections. “Yes, we also saying that ZEC should answer to all these questions than to shut the door for us. We want democracy to rule but that can only be done if the country have free, fair and credible election,” he said. Meanwhile, Chigumba is on record saying that nothing short of an earthquake will stop the forthcoming elections adding that grievances from political parties will only be attended to after elections. Zimbabwe is due to hold the next harmonized elections on 30 July with 8 September reserved for the Presidential run-off should the first round winner fail to garner the 50 percent plus one vote threshold.